Are you an internet addict? If it is from now you should limit your internet usage. Cubicle News and Info for this time will provide information to you about Internet addiction that can affect your brain. In Fact, researchers in China said there are material changes in the brain on CT brain scans of 17 samples of youth internet addiction. 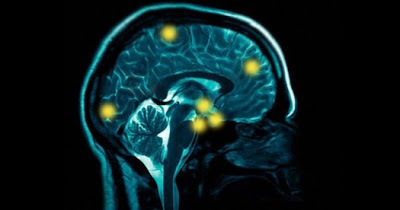 Brain changes in people who are internet addiction is referring to the connection disruption of nerve fibers that connect brain regions in terms of emotions, decision making, and self-control. Research conducted at the Chinese Academy of Sciences Wuhan by Hao Lei was stated that people with IAD (Internet Addiction Disorder) have a white part of his brain scan results. The white part has a number of nerve fibers. This is evidence of a disturbance that connection. Like the BBC released, this Internet addiction disturbing impulse control. In addition, there is the division of psychological and neural mechanisms with other forms of addiction. Approximately 5-10 percent of people who access the internet are believed to be suffering addiction (Internet addiction). The majority are those who are avid online game. They can spend time playing games for hours without eating and drinking, and even tend to ignore other aspects of their own lives. There are some people who claim they failed to perform his Internet activity restrictions, they have internet addiction that causes brain changes. Disturbance in the brain also makes them hard to stop, even with reduced hours of surfing little by little. Researchers revealed that brain disorders of these internet addicts have the same picture when compared to the brain condition of a video game addict. In fact, the disorder is similar to ‘brain condition’ of drug addicts and alcoholics. And what about the people who must spend long hours uses the internet in the field of work? According to Henrietta Bowden Jones, a psychiatrist who handles internet addicts, it’s not including Internet addiction, as indeed modern life requires us to connect to the internet for work and socially. They did so not by obsessive. Before too late, you should limit your internet usage before becoming addicted binding in the brain. Disorders of the brain are definitely going to affect your behavior. The modern technology has horrible side effects on health. It is a common understanding that excessive use of anything can cause harm to health. And so does internet. Thanks for sharing such valuable information.